Humanity must learn to activate an aspect of human behavior that has been somewhat dormant for nearly five thousand years—the ability to think for ourselves! "In time all things will be revealed." To me this means that there will be a time when teachings and other information will be hidden and a time when they will be available again. There have been many historical reasons for hiding away knowledge. We live in a time when some of the ancient sources of knowledge are once again being made available. I have long felt that some of the real teachings of Jesus have been pushed aside, sifted and selected in order to reinforce particular agendas and belief systems. There has been a substantial departure from the unique ministry and teachings of Jesus over time. I set out to discover as much as I could about what Jesus was really like and what he intended to offer to those whom he taught. 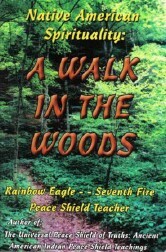 My goal was to find a spiritual path that honored both my Native American beliefs and my experience with Christianity. I found that there are many parallels between the teachings of Jesus and the writings of his earliest first century followers and my understanding of the earlier Native American philosophy. I have found it valuable to have the courage to re-evaluate past experiences. I have learned to take those experiences and pass them by what I know as my Sacred Self or the Elder Within. Native wisdom has taught me to learn from the past; to give gratitude for all experiences; for within them is the very medicine needed to for balance. This process has helped me with spiritual balance and has restored my love for myself and for life. Chapter Two: The Colonization of the Americas and the World: It was Going to Happen! Chapter Seven: What are the "Actual" teachings of Yeshua? 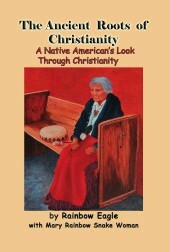 The Role of Native American Spirituality--To Seek Spirituality--The Role of the Church Today--Getting to Know Yeshua--Concepts Prominent at the Time of Jesus--What Did Yeshua Say About Himself?--Most Biblical Scholars Would Agree--Hebrew Tradition of the Messiah--Some Ancient Observations About Yeshua--Jesus and Nature--The Hebrew Meaning of "Soul" and "Spirit"—The Greek Philosophy of Separation of Spirit and Matter--What Does it Mean to Have Faith?--The Meaning of Salvation--Ancient Clues to Help Sift Out the Teachings of Yeshua--The Oldest Bible in the World--The Sinaiticus (Sinai) Bible--A Church or a Gathering of "God's People"? -Christianity Came to a "Y" in the Road! Appendix F - What's this about the Free Masons? Appendix G - The Original Transcript of the Interview With Stephanie M. Various Groups of Jews--The Bar/Bat Mitzvah--The Keep "Kosher"--Worship only one God not in Torah--"Yom Kippur"(most solemn Day)--The place for women in Judaism--"body movements during prayer"--The Letter of the Law over Spirit of Law--The meaning of Chosen People--Judaism and ritual cleanliness--The survival of the Jewish people--"The Sabbath Joy"--"Being Tempted"--"The Sacrifice of Isaac"--Adam had known Eve--Judaism and Conversion--Jewish Bloodline?--The concept of Sin--"Arguing with G-D?" --The Feminine Aspect of G-d—"Polytheism strikes again!" 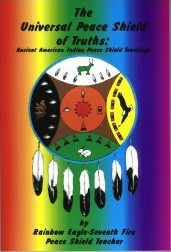 --The "whaling Wall"
Ancient Peace Shield Teachings ~ The Seventh Fire Peace Shield Teachings and Times of War ~ Personal Vision Teachings ~ Supporting Another's Vision ~ Rainbow Eagle's Vision ~ Understanding Native American Rituals and Ceremonies ~ Four Sacred Herbs: Tobacco, Sweetgrass, Cedar, Sage ~ What Place Have Suffering and Sacrifice in Native American Sprituality? The Gift of Prophecy ~ The Power of Prayer, Love & Faith Related to Prophecy and the Future ~ Seneca Prophecy ~ Tha Anishinabe Seven (Eight) Fire Peace Shield Prophecy ~ Hopi Prophecy and Messengers ~ When the Condor and the Eagle Fly Together: Andean Prophecy ~ The Doctrine of Discovery - 1452 ~ Quetzalcoatl and Cortez ~ Inca History and Prophecy ~ Serpents, Elohim, and Luminous Beings ~ Ages and Cycles ~ The Golden Age ~ The Q'ero People of Peru ~ Q'ero Beliefs and Teachings ~ Taripay Pacha: The Age of Meeting Ourselves Again ~ 100th Monkey or Something Else? ~ A Message for Today ~ Prophecy by the Peacemeker: Deganawidah ~ Prophecy of the White, Red and Black Serpents ~ Some Mending of the Wounds of "American History"
Understanding Lessons of Form - Gift #1 Mother Earth Teaches Us Spiritual Balance - Gift #2 Mother Earth Says, "It's About Time" - Gift #3 To Become Related With All of Life - Gift #4 Mother Earth Teaches Us Lessons of Power - Gift #5 Mother Earth's Natural Cycle and Our Spirituality ~ Are the Trees Trying to Tell Us Something? ~ Are the Oceans Contributing to Global Warming? The Natural World is a "Classroom" Rather Than a Model of Spirituality ~ A New Culture is Developing: In America and Abroad ~ The Seventh Fire People: The New People ~ Getting Ready for "Cosmic" Relationships! 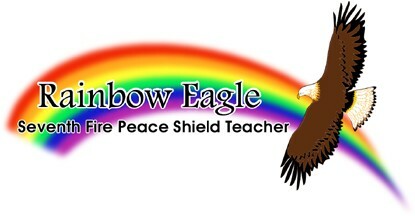 Steps Toward Personal Healing ~ The Return of the Feathered Serpent ~ Some Principals of Healing ~ Some Barriers to Personal Mending and Healing ~ Peace Shield Application to Life ~ "Native American Natural Spirituality"